Mike Peters will present The Alarm – Spirit of ’86 Concert experience at the Strandtorget Classic Rock Night Festival in Lillehammer, Norway on Saturday July 7th. A one off concert appearance that will see Mike Peters present The Alarm, using his one man band ‘Alarm’ sound to the maximum. This is the groundbreaking instrument line up developed by Mike in early 2014, to honour and reflect on the decade’s forthcoming Alarm 30th anniversary celebrations. 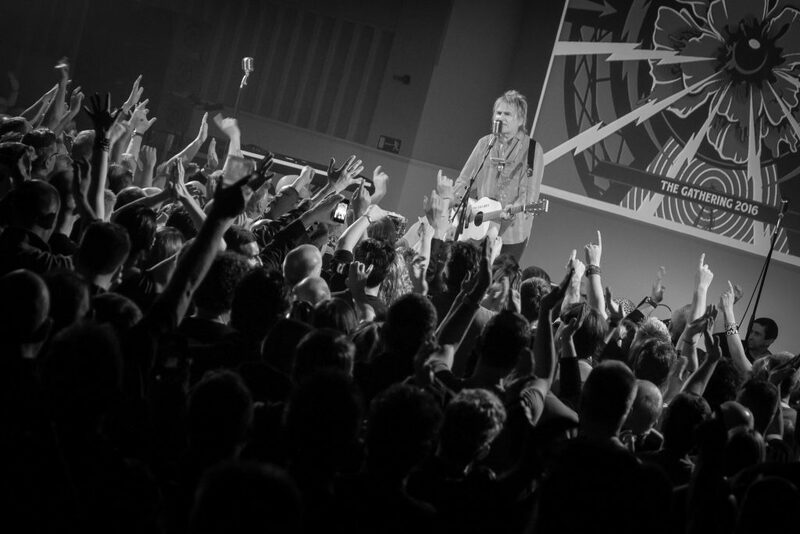 Through taking on the challenge of learning to perform in new ways, this imaginative electro-acoustic, kik drum, loop station ‘Alarm’ sound, has propelled Mike Peters forward as a guitarist and instrumentalist, and provided the inspiration for the innovative way the modern day Alarm band now plays on the stages across the globe. Norwegian fans can expect a high energy reconstruction of the exact set list as performed by The Alarm at the Spirit of ’86 concert that was beamed via MTV and satellite technology around the world on April 12th 1986.